Pet Stop Warehouse is having an Adoption Event and Pet Photos with Santa on Saturday, December 17. 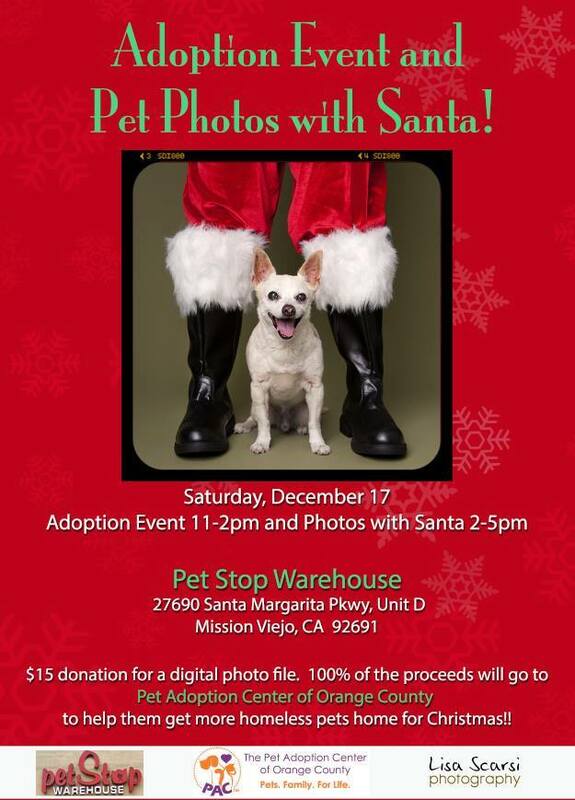 The adoption event is from 11 am to 2 pm and the photos with Santa are from 2 pm to 5 pm. Photos with Santa is a $15 donation for a digital photo file with 100% of the proceeds going to the Pet Adoption Center of OC to help us get more homeless pets home for Christmas!